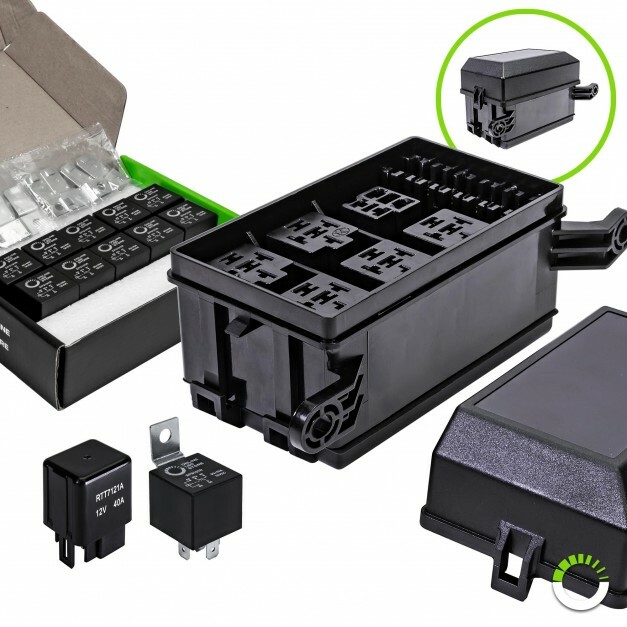 Securely storing up to five Bosch style 40/30A 5-Pin relays/30A 4-Pin relays, one RTT7121A 4-Pin relay, and six ATO/ATC blade fuses, this relay box delivers serious protection and clean OEM style for the fuses and relays in your truck, SUV, car, bike or boat. 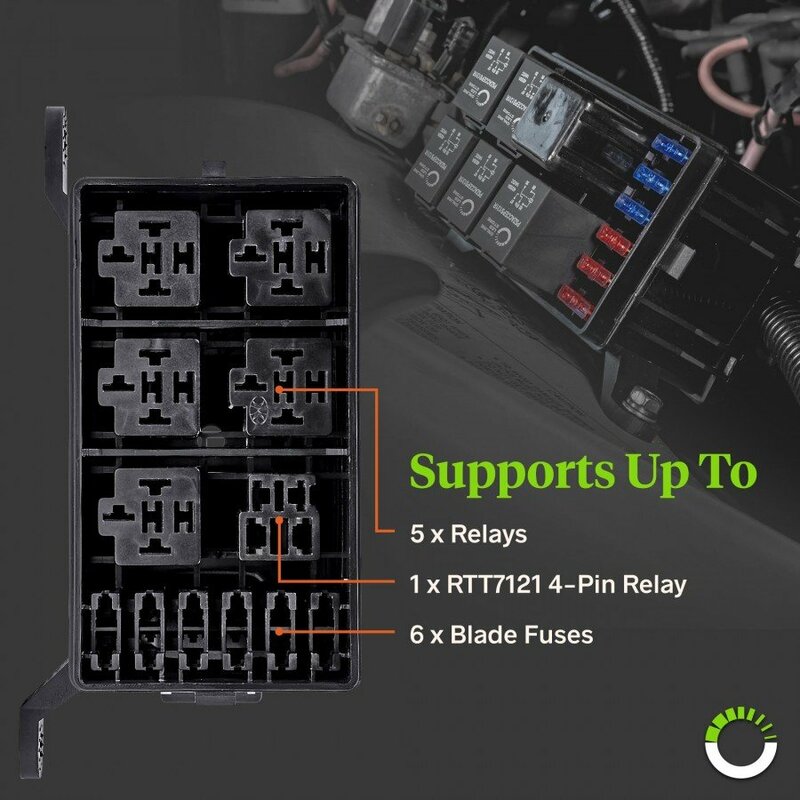 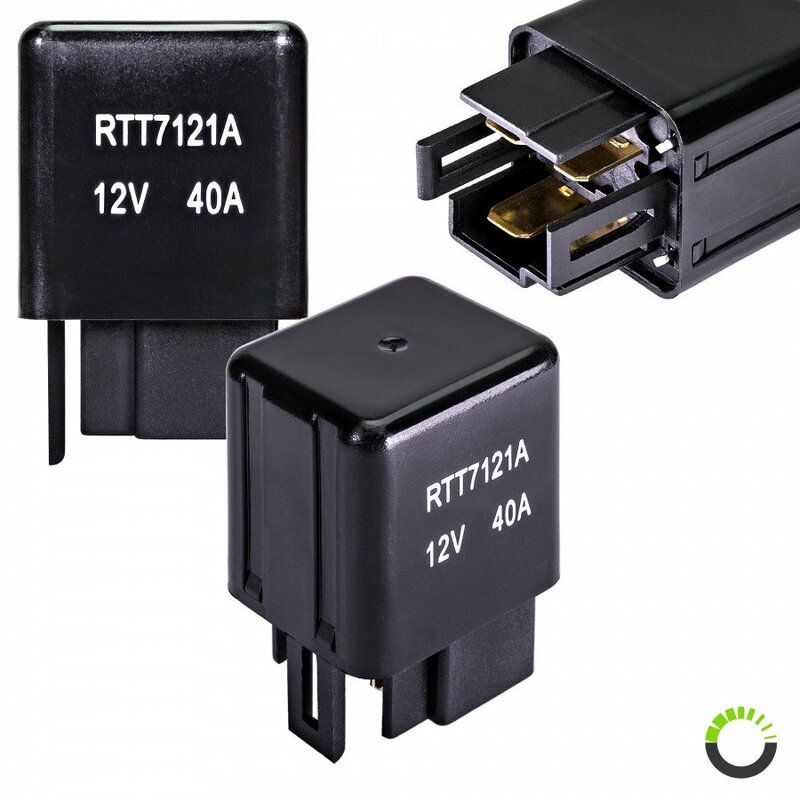 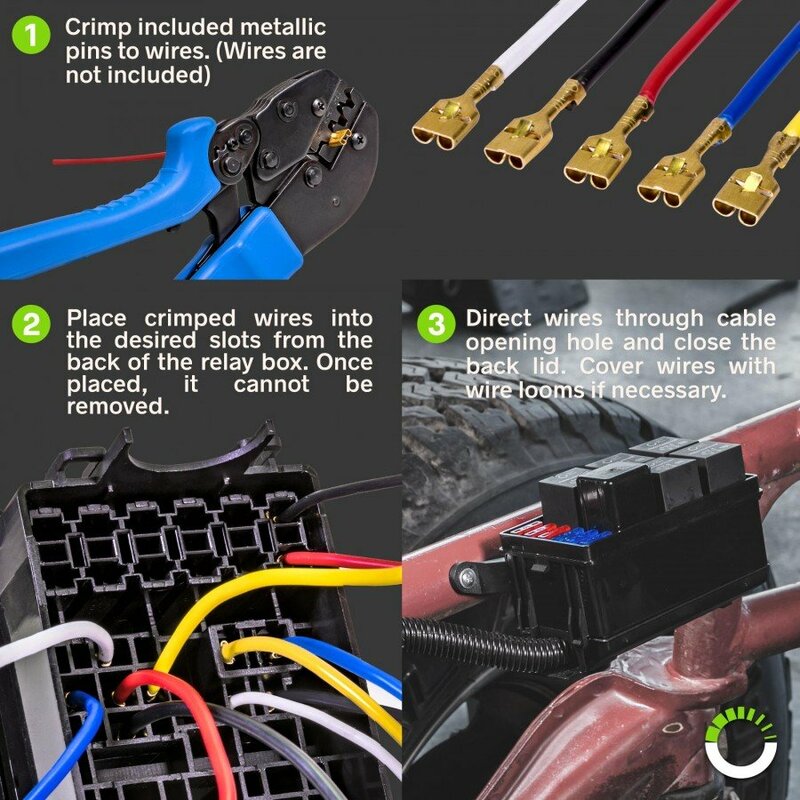 Our versatile relay fuse combo block comes fully-loaded with ten Bosch style 40/30A 5-Pin relays and one RTT7121A 4-Pin relay to power your essential audio, security, and LED lighting goodies, including rock lights, light bars, and dash strobes. 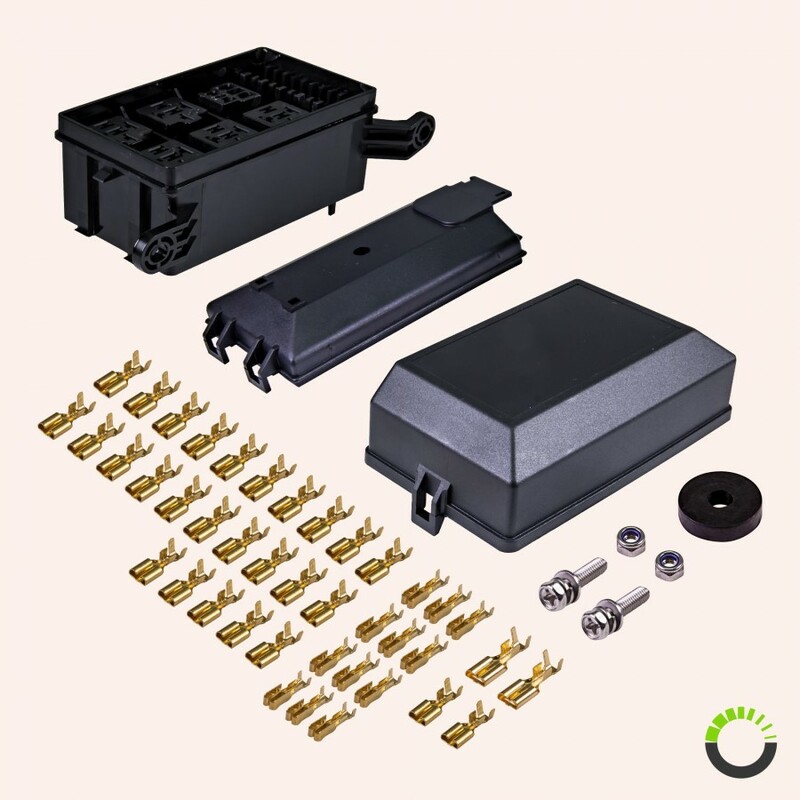 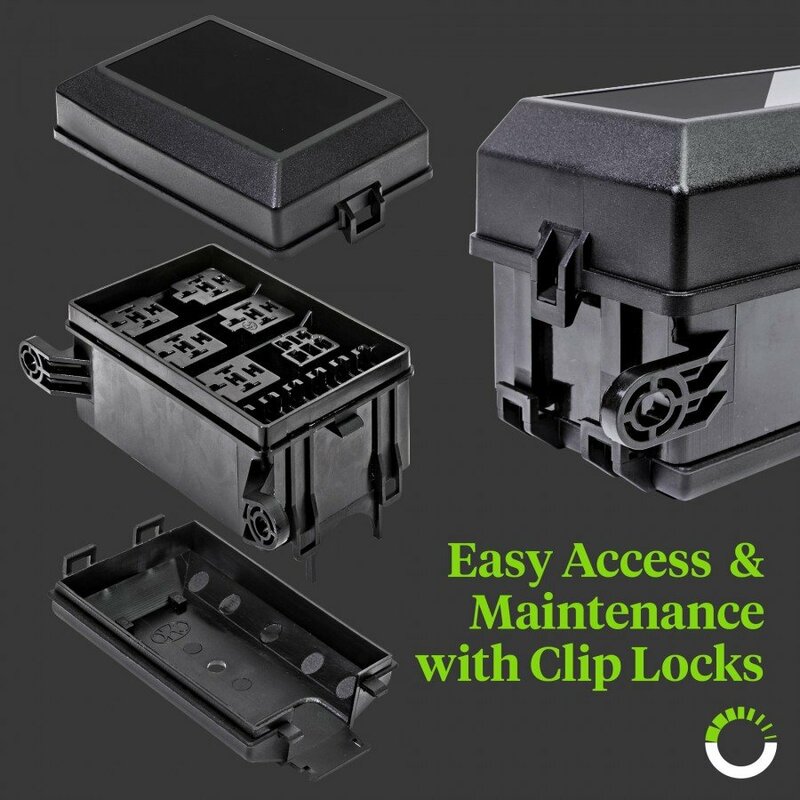 This multi-purpose fuse & relay box also sports user-friendly snap-fit clips, allowing easy access to relays, fuses and wires. 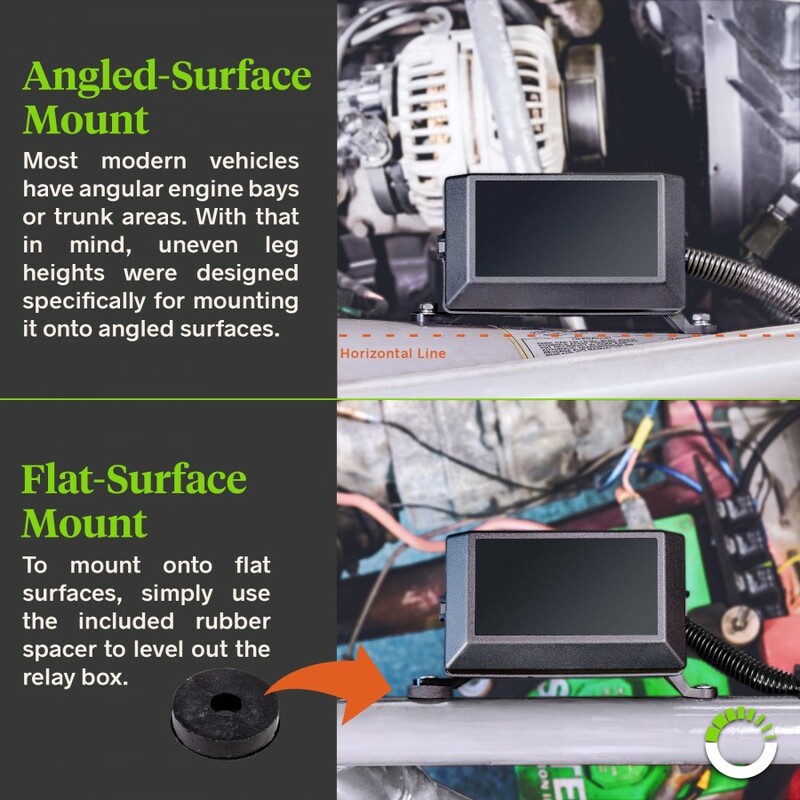 Most modern vehicles have engine bays or trunk spaces with angled or sloping surfaces, making it difficult to mount other relay boxes. 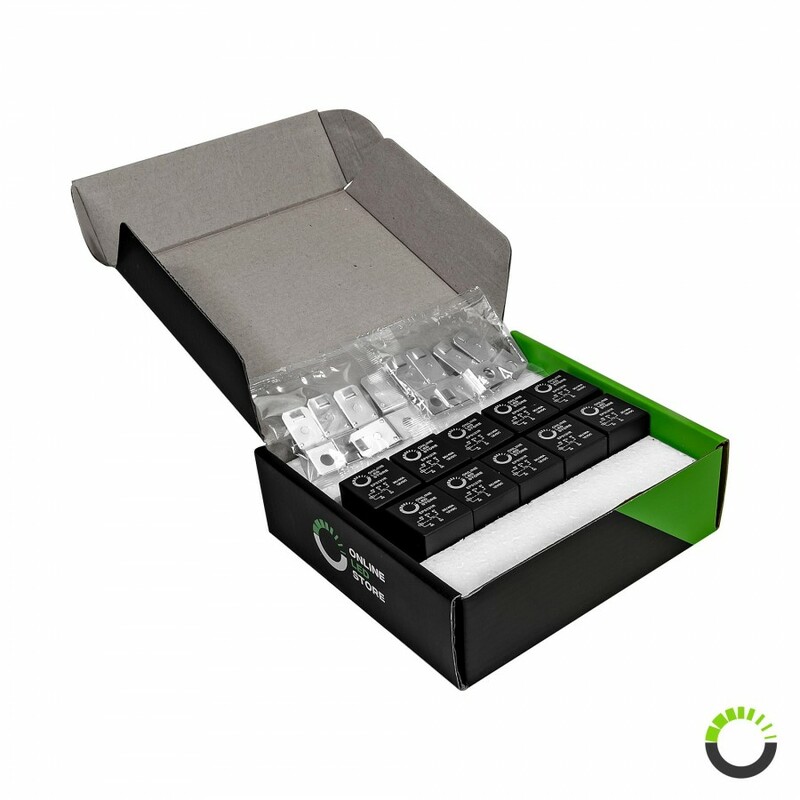 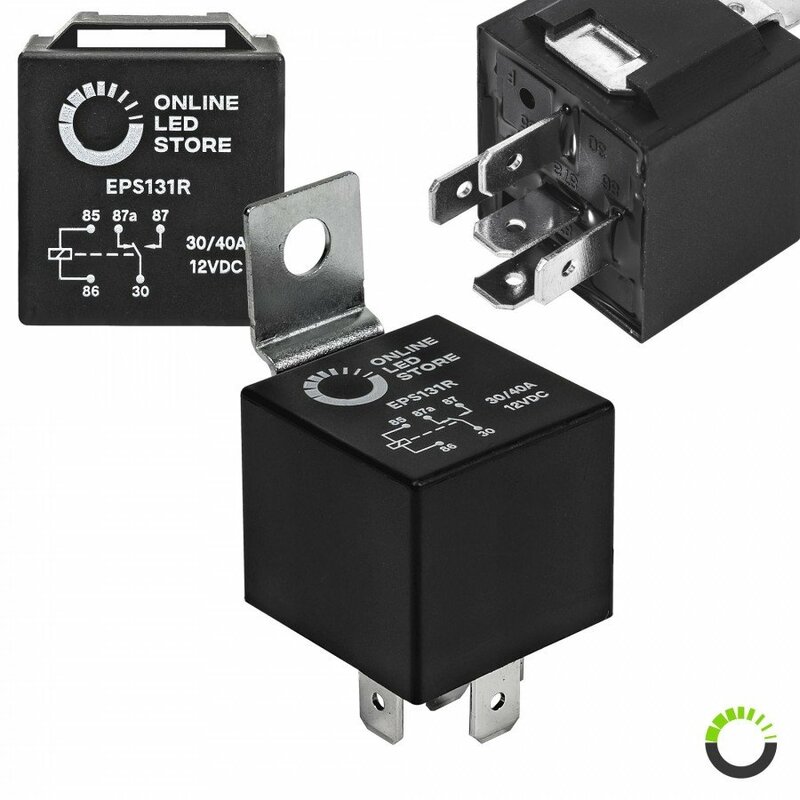 To enable hassle-free mounting on these surfaces, our relay block utilizes uneven mounting supports, while a rubber spacer is also included for flat surface mounting.